In our previous piece on book discoverability, we noted that the first part of readers finding your books revolves around traffic. The more people who come across your book sales pages and website, the better chances you have of making sales. We also noted that the second part of discovery is making sure your books are ready to be discovered. Without necessarily categorizing it as such, we’ve talked a lot about discovery preparation on Author Marketing Institute. It’s essentially a matter of winning tiny comparison shopping battles with similar books in your genre. If someone is looking for a dark fantasy book by a new author, then he may compare your dark fantasy novel with another similar looking title. If you have significantly fewer reviews and your description sounds less compelling, then you’re going to lose out on that sale. Many strategies exist for book discovery, and having a lot of high-rated reviews helps nearly all of them. For example, when you’ve got to buy socks online, you’re probably going to pick the one with reviews that talk about comfort, elasticity, and a good deal. When a reader wants to buy a book, she wants the validation that dozens of other readers like her enjoyed your book. Getting over 100 reviews on your book is not going to be easy, but it’s essential for one of the biggest book discovery tools of them all: BookBub. There was a time when you could get by with 50-75 reviews to get your book featured, but it’s getting harder and harder to meet the email marketing company’s increasingly high standards. The rule of thumb with BookBub is to check the category you want to be featured in. Write down the number of reviews for the last five books featured. Divide them by five to come up with the number of reviews you’ll need. Depending on the category, you may need well over 200 to get your book into the mix. In most cases, you shouldn’t compare your book to others in your genre. It’s psychologically unnerving to belittle yourself in the shadow of big bestsellers. Don’t compare your sales to the outliers of the industry, but you should most definitely compare your descriptions. So many author book descriptions are the equivalent of the sock blurb: “Cotton foot warmers you can wear.” Fortunately, you’ve got a product that’s got a lot more to say about it than an ankle-length sock. Check out the descriptions of other books in your genre that are selling well. Borrow the framework that seems to work the best. Insert your own characters into that framework and then spice it up with some sensory adjectives. You want your readers to feel something when they read your books, and that same goal should be a part of your description writing. Another thing to consider is Amazon’s recent experimentation with shorter descriptions. The retailer recently tested out only displaying two or three lines of a description before readers needed to click the “Read More” link. While it seems like Amazon has gone back to its old description style, you still need to consider how strong your first two lines are for mobile devices. Use a catchy tagline that makes readers want to read more. Employ short, punchy sentences and then see how they display on your phone or tablet. The first two pages of most paperbacks have got to be the most skipped in all of literary history. So few people care about the legal mumbo jumbo of the copyright information, that they’re bound to miss dedications and author’s notes in an effort to get to the first lines of the novel proper. The problem with copyright pages in an ebook is that they take up valuable room in your Look Inside. 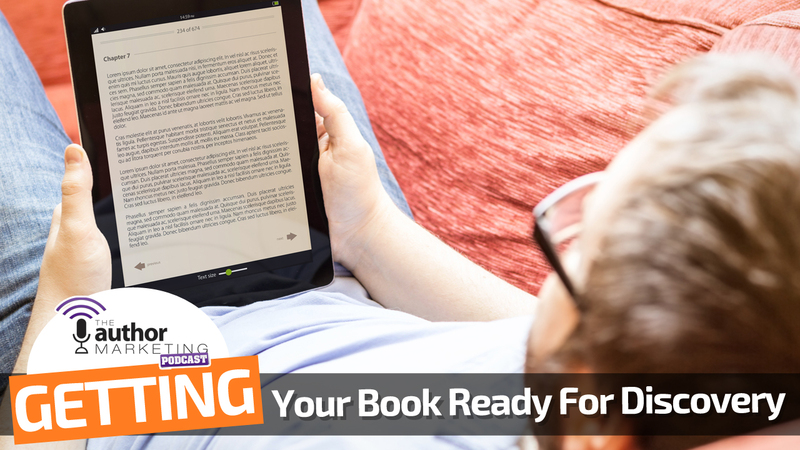 The Look Inside is the preview function that allows readers to sample your book before buying. The more things you stuff in before the first line of your book, the shorter the sample readers get to peruse. Additionally, readers are more likely to click away when they can’t read your words immediately. That’s why you need to pare down your preface material to a bare minimum. Trim your copyright to a few lines or place it at the back of the book. Keep your author’s note simple or insert it at the back. Include a small promotion for your mailing list before jumping right into the first chapter. From there, make sure there aren’t any surprises in the first few pages, like poor alignment or an alarming misspelling. As we’ve previously discussed on the site, you should link to your mailing list in the front of all your books. When you do this, your mailing list becomes part of the discovery process. If you’re the kind of person who sets and forgets your list, then you need a healthy auto responder sequence to guide new subscribers into your fan base. You should use your own unique style to tell readers about yourself, show them where else they can buy your books, and ask them how involved they’d like to be with your efforts. Many bestselling authors have used auto responder sequences to get more sales, additional reviews, and even members of their advanced reader or street teams. Have at least a month worth of emails ready to go to anyone who subscribes to your list. The line has become more and more blurred between traditionally-published books and self-published books on the e-retail platforms. As a result, you have to work harder than ever to make your page look professional. When the book page is up to snuff, the traffic you send there through your promotional efforts will convert much better. Continue to refine your page as time goes on, and set a constant goal to make an incredible first impression on all your new readers.